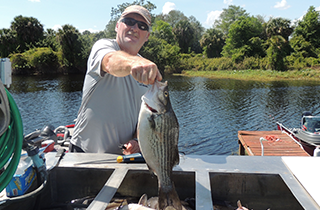 River Bluff Fishing Resort offers fantastic vacation rentals along the beautiful Kissimmee River. Give us a call today to book your short or long term stay with us. Give us a call today to learn more about our options or to make a booking. 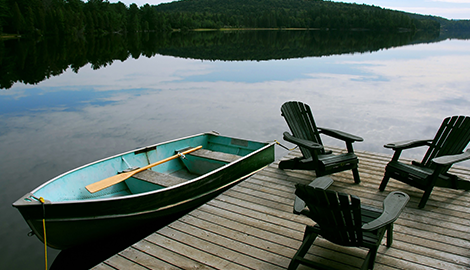 Reach out to us today to learn more about our boat storage and rental options. Our mission is to keep you fishing! When you need to make an escape from the hustle and bustle of your daily life, there is no better retreat than River Bluff Fishing Resort. 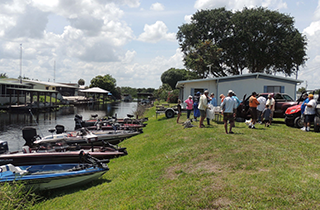 We offer you friendly, personable service in the only campground and vacation rental location situated on the Kissimmee River. 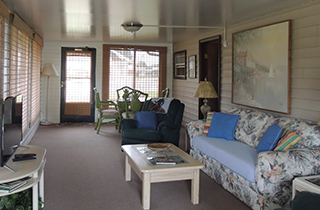 Whether you are looking to park your RV or settle into a comfortable cabin, we have something for you! 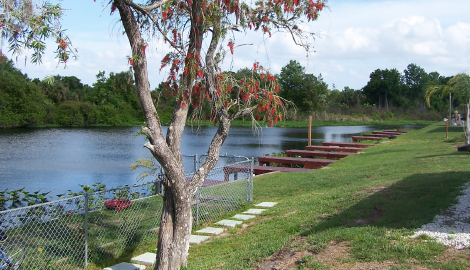 River Bluff Fishing Resort is a comprehensive fishing resort in Okeechobee, FL. Our team specializes in providing you with the best location, supplies, and atmosphere for a successful fishing trip. We are minutes from Lake Okeechobee, so when you stay with us you will have access to our large supply of large mouth bass, shell crackers, and an assortment of other fish throughout your stay. Our mission is to keep you fishing! Although we are known as the best fishing resort in the area, we also specialize in providing non-fishermen with a peaceful environment. The serenity and natural beauty of the area is guaranteed to put you at ease and to provide a small escape from the real world. Put your cell phone away, and spend an afternoon out on a boat or hanging out by the docks; we guarantee you will feel renewed! You may like it so much that you opt to stay with us long-term—so look into our yearlong rental options! 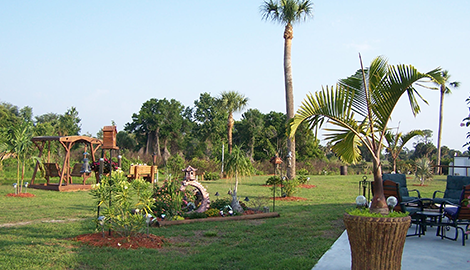 We are centrally located, so you have access to all the best attractions and events taking place in Okeechobee. Hunting, gambling, bird-watching, and dining out are among the exciting entertainment options in the local area. Orlando, Palm Beach, and Ft. Myers are just down the road as well, so your activity options are unlimited when you stay with us! With summer temperatures ranging from 72-93 degrees and winter temperatures averaging 49-73 degrees, the weather is always pleasant in our area, so you can come down and enjoy our attraction regardless of the time of year! Our resort is perfect for family bonding, a romantic getaway, or a weekend by yourself, getting back in touch with nature. Regardless of the time of year you visit or the occasion for your stay, we are confident that River Bluff Fishing Resort is a place you will want to return to year after year. Give us a call today to learn about our great rates or to book your visit!